This is our 4th annual-monthly park and hang out cruise nite. All rides are welcome (late and early models, cars, trucks, and bikes). We gather around the courthouse square in the middle of town. There are local restaurants within walking distance. Kids are welcome. No load music, alcohol, or trash allowed! Respecting this event and town has kept this alive. 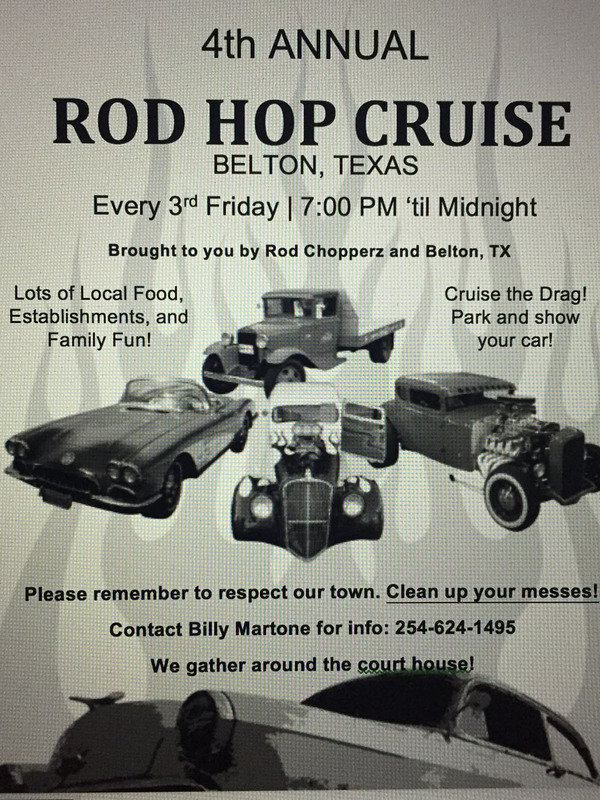 If the weather is bad, please contact Rod Chopperz 254-624-1495 before coming out. The Cruise nite maybe canceled for that nite.